Experience color like never before with this amazing yarn from James C. Brett. 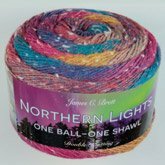 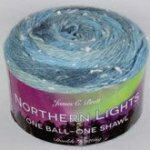 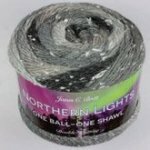 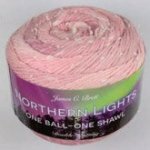 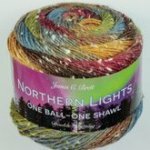 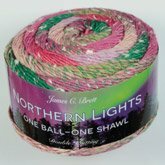 Northern Lights is a unique yarn displaying stunning color blends with bright flecks throughout, bringing to life the dancing lights of the aurora. 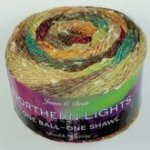 This DK weight yarn is a great choice for textured sweaters, cardigans and accessories of all kinds. 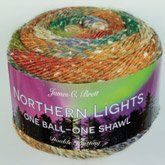 The self-patterning shades will give a burst of color to all your projects. 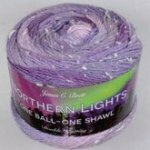 And each skein comes with a free shawl pattern.